Medical Devices, Biotechnology, Bioengineering and the like: Quick Post: The FDA takes part of a much needed change of approach towards homeopathic "remedies"
Quick Post: The FDA takes part of a much needed change of approach towards homeopathic "remedies"
Traditional/Alternate non-allopathy medicine certainly has a place in the healthcare industry. However, the problem is that a lot of these are entirely devoid of any basis in scientific evidence. These medications can provide, limited healing for a small subset of simple disease conditions at best. For the more aggressive disease conditions such as cancer, where the mechanism of disease itself is not understood well under most circumstances, they quickly fall apart. That is not the only issue with the practices. There are no cGMP practices, and usually no standard controls on how the drugs are manufactured. 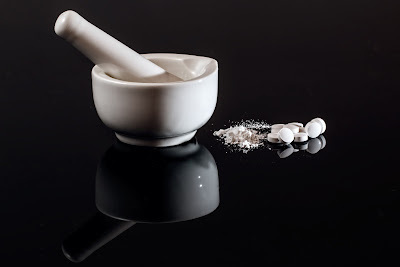 Routine examinations have found that Ayurvedic and Homeopathic drugs are found to have dangerous contaminants (worse in Ayurveda than in Homeopathy - links provided below). Remember, this is not a criticism of the forms of alternate medicine. It is that a lot of these drugs are being manufactured without the controls afforded to the mainstream (if you can call it that) pharmaceuticals. This is a non-trivial problem. From poisoning to a range of other side-effects, this can actually affect the health of unsuspecting patients. The Key Issue is however that the purveyors of these drugs over-promise, with no scientific backing. One key danger, as you can imagine, is that in lieu of actually taking drugs that actually work, patients could opt for drugs that do little, or nothing and in many cases, cause actual harm. This is really a huge problem. 1. The new policy unveiled by the FDA only covers certain categories of homeopathic drugs - for infants and children and more serious diseases such as heart conditions and cancer, as well as for drugs that contain certain substances, such as Belladonna. 2. It doesn't cover manufacturing and contamination issues on a global scale. 3. It also doesn't talk about requiring more scientific rigor, per se. I get that more scrutiny would indicate a demand for scientific rigor, but that needs to be explicitly stated. Why? Because if you follow mainstream medicine, and create a drug or a device, you are EXPECTED to conduct trials, have the work examined by experts in medicine, get the work published and so on. You are ALSO expected to do post-market follow up. It is awfully dangerous that even the shifted policies don't give me the comfort that any of this will be imposed on homeopathic medicine. 4. In other good news, the FTC is joining the FDA in some of the enforcement and so things are looking up from a safety and efficacy as well as labeling point of view. However, the FDA's shift in policy is a welcome change in the right direction. Again, it is not a criticism of alternate forms of medicine, I just think that in the interest of patients, there has to be scientific rigor, honest marketing, follow up and cGMP implemented. Let us see what Scott Gottlieb's FDA does as time goes on!